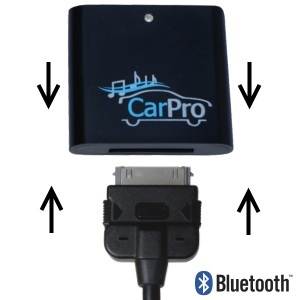 The CoolStream CarPro is a small lightweight Bluetooth Receiver designed to stream music from your cell phone to your car or motorcycle stereo using the factory installed 30-pin cable. The CarPro will also allow for the use of the steering wheel functions in your car or the handlebar functions on your motorcycle. If you are using an iPhone for streaming purposes then the CarPro will also allow you to see the song titles on your entertainment screen as they are playing. 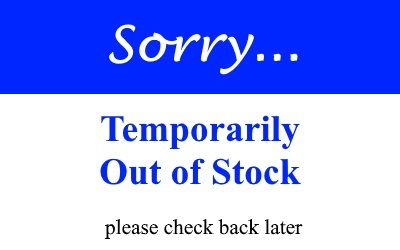 What if I get a phone call? If you have integrated Bluetooth for Voice in your car already then the CarPro will pause the music when a call comes in. 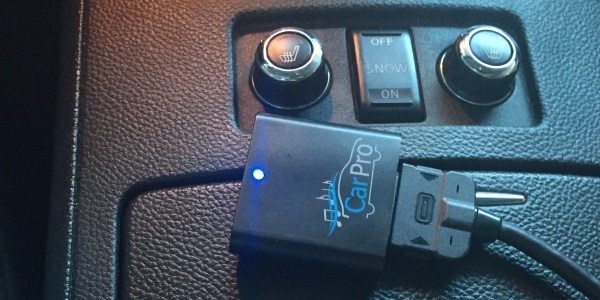 As soon as you hang up from your call the CarPro will seamlessly return to the music right where it left off. The CoolStream CarPro is for music streaming only. It is important to note however that if you don’t own an Audi, Volkswagen, BMW, Mini or Mercedes we have had great results testing the CarPro on many different makes and models.